I want to tell you a little bit about my friend, Councilman Ravi Bhalla, and why I'm supporting his candidacy for Mayor of Hoboken. Two years ago, along with other local moms, I helped create the Hoboken Public Education Foundation (HobokenPEF), a non-profit organization to benefit our local district public schools. The founding team established multiple goals, and my vision was for the foundation to be a resource to help support important education programs for our children, including my two daughters. 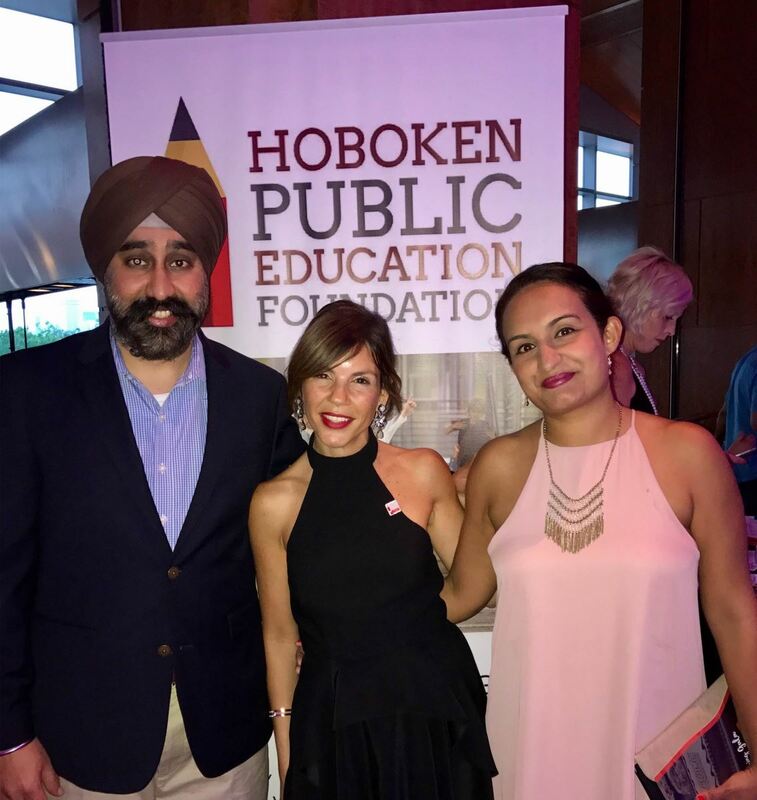 However, I didn't know exactly how to help HobokenPEF engage and connect with key community members, and become better known and supported by Hoboken residents and businesses. Ravi was the first person I turned to for guidance, and not surprisingly, he immediately pledged his help. Ravi set up meetings with key stakeholders and educated them on the importance of supporting our public schools. At a time when our organization was just a couple moms looking to make a difference, Ravi believed in us and our work. He gave the HobokenPEF a voice, when not many others gave us much of a chance. A few months ago, at our second annual HobokenPEF Gala, we sold out of tickets within weeks and raised over $120,000 for the public school system. Needless to say, I believe our organization would not be where it is today without Ravi's support. Ravi shares the same goal and vision as me and so many other parents of supporting and improving our public schools so more families stay in Hoboken. As Mayor, I know that Ravi will work hand in hand with our parents, teachers and educators to keep moving our education system in the right direction. I'm thrilled to join Mayor Dawn Zimmer and many others in offering my unwavering support to Ravi, and look forward to doing all that I can to help him through Election Day on November 7. Talking Ed Note: MSV's longstanding policy is candidates and elected officials may submit for publication letters and/or campaign releases and are invited to do so via email to: smartyjones@me.com.